“Watch” how much money you save! What do you spend most of your “free time” doing? If you answered honestly I bet at least half of you just said television (the other half said surfing the internet). Don’t be ashamed. Television viewing is at an all-time high and for good reason, it’s never been better. So why not find out how you can watch all of your shows, and pay less than you are right now. If you pay for cable or satellite service, then chances are pretty good that you can find a way to save money on your TV service. Monthly savings can be as little as $5 or over $100. The key is to continually audit your level of service and see if the money you spend is committed to the features you use. If you have any waste, then remove it. Bundling is when you subscribe to multiple services through one provider. The ‘triple play’ is a common bundle – telephone, cable, and internet. As far as savings, bundling typically pays off once you activate services. Contracts are usually required. Ask the provider if there is a penalty fee for canceling service before the contract comes to full term. The monthly price usually rises once the incentives expire. Ask the provider what the regular price will be once the incentives go away. You might have to adjust your TV service in order to keep the monthly cost lower than what you currently pay. Obviously, you can save money each month by eliminating your service. For some, this would be a drastic lifestyle change, but it’s not the craziest thing in the world to do. 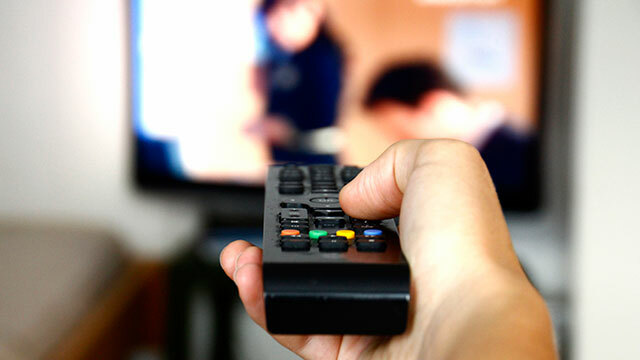 Eliminating service will cause you to lose access to some programming, like sports and news, but many TV stations will stream programming on their website. Other sites to watch TV content are Hulu and Stream TV Guide. This action will yield the most savings, but only if you don’t redirect your service money towards a different but more expensive hobby. Canceling premium service, like movie or sports programming, is not as drastic as eliminating service, because you‘ll still have access to the service tiers you pay for. You just won’t have access to the a la carte channels that you pay extra for each month. Savings could total into the hundreds each year depending on how much you pay for premium channels. It’s also immediate and doesn’t necessarily alter much in the way of your daily TV life. In addition, most of the premium programming could be supplemented by viewing the shows online or with a low-cost movie club subscription. Changing service providers can be a good opportunity to save in the short term because most cable and satellite companies offer their best deals to new customers. Just be sure to pay attention to the cost of the service after the promotion period expires. If it’s more than what you currently pay, then you won’t save money. You might want to try a different method. Ask the provider if they will extend whatever promotion they are offering. Extending the incentives will increase your long term savings and keep the payment lower for a longer period of time. Are you paying a monthly service fee for a receiver that you don’t use or use sparingly? If so then you can save immediately by removing it from your service plan. The amount of savings isn’t jaw-dropping — perhaps $5 to $8 per receiver — but keeping it and not using it is nothing more than throwing your money away. I know someone that has several satellite receivers on the family plan, which are shared within a collective group of homeowners. This group then splits the monthly satellite bill, so a $160 bill means that each household pays $40. There are tremendous financial advantages to this, as you can get more programming for less money per house, but there are logistics to doing this. All receivers should be acquired legally and be reflected on the service plan. You’ll also have to get the proper dishes mounted and aligned at each location. In addition, if the service is in your name then my advice is to manage your group as you will be the person of record on the account. Make contingency plans for if someone flakes out or doesn’t pay the money on time. As far as cable subscribers, this is not an endorsement of splitting your cable feed and routing it between your neighbor’s and your house. There are a lot of complications to that, including the likelihood that tampering with the cable box is illegal in your city. If you pay for local channels then you are wasting money if you are capable of receiving your local stations with an antenna. Watching TV with an antenna and cable/satellite typically requires toggling between input sources. Some receivers integrate the antenna into the channel lineup. The whole process of going from an antenna to cable back to antenna can be difficult for some but this is only a short term frustration. Monthly savings are typically $4-8 dollars. By using an antenna, you’ll gain access to digital sub-channels, which aren’t shown on cable/satellite. That’s it. Bight the hand that feeds you. Get rid of your antenna, chord, receiver, etc. Take to the internet! Follow this Forbes article to quickly transition from dealing with unreliable service to a life of choosing just how much you want to pay.